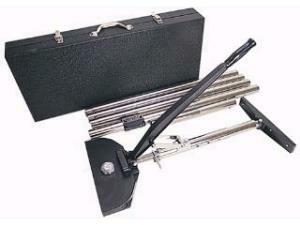 The power carpet stretcher is the ideal tool for those large carpeting jobs. The kit includes one power head, a dual head, multiple 3' extension tubes, a locking tube, and carrying case. * Please call us for any questions on our carpet stretcher power rentals in Hillsdale and Ridgewood NJ.